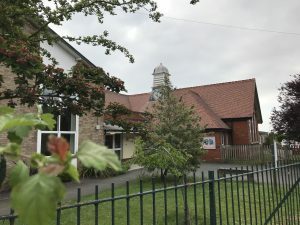 The only school actually in the Leckhampton ward is Leckhampton CofE Primary School in Hall Road, an outstanding local primary school which currently has around 430 pupils. Leckhampton’s headteacher is Miss Sam Porter. A proposal has recently been made and approved by the county council’s Conservative cabinet member for education, Cllr Lynden Stowe, to increase the size of the school to 630. See more about this decision in my update here. Neighbouring primary schools include Naunton Park Primary in Naunton Lane, St James’ CofE Primary School in Merestones Road and Warden Hill Primary in Durham Close, Warden Hill. The fee-paying Richard Pate School is in Southern Road. There is no secondary in Leckhampton ward at present although there are controversial plans to build a new school in Kidnappers Lane. See more on this in my update here. Most secondary school pupils from Leckhampton attend either Balcarras or Bournside Schools, with increasing numbers also attending Balcarras’ partner school, Pittville School. All were praised in their most recent Oftsed reports with Balcarras achieving an ‘outstanding’ rating. You can read more about all of Cheltenham’s schools here.